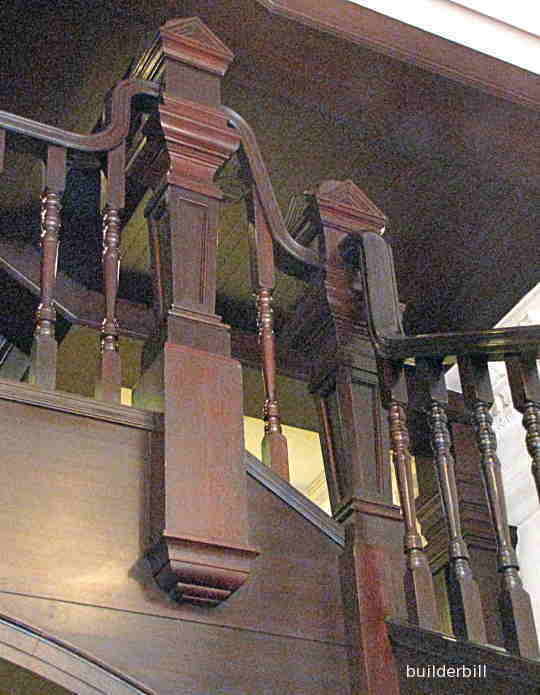 A curved section of a handrail that terminates at a newel post. The gooseneck is not absolutely necessary, but it does provide a good looking alternative to the sloping handrail stopping abruptly at the newel post. Above is a stair designer and or a craftsman stair builder having fun with goosenecks. 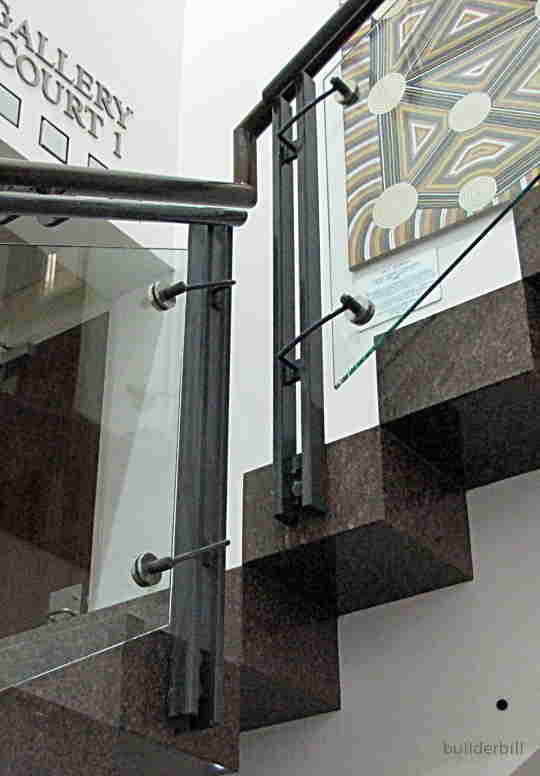 A stair that continues around in a quarter turn can get quite complicated if taken to extremes. It is no wonder that modern designers tend to give them a miss. 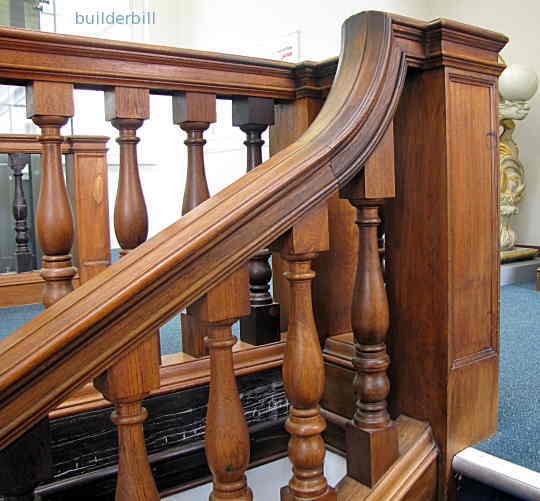 Even when there is no actual newel post, as seen in the photo below.